Fundamental improvements to the performance of composite materials cascade through to more capable and higher value products. The greatest opportunities for innovation are currently in the area of nano-enhancement of existing materials to provide multi-functional capabilities. 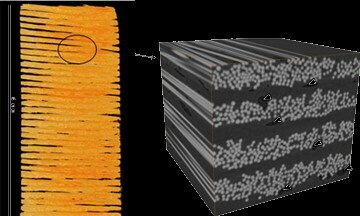 Carbon nano tubes (CNTs) and graphene have extraordinary potential to fundamentally change the electrical, thermal and mechanical properties of composite matrices IF they can be integrated into the production chain. ANU has recently invested in a pilot scale facility to produce up to 2 tons of graphene annually. AMAC has identified a key opportunity to integrate graphene treated polymers into the automated manufacturing chain by embedding them in tapes used by the AFP facilities. Automated manufacture disrupts composites processing norms. Part quality is less of a function of cure cycles and infusion rates and more related to the mechanics of adding material to a mould: consolidation pressure, consolidation temperature, tape lay down rate, tape distortion, etc. This is still an immature area of research with huge potential for investigation and optimisation. Gains in this area will come from creating and optimising robust models for part performance and quality indicators by specifically addressing the complex thermal and mechanical environment at the point of material application onto the mould. 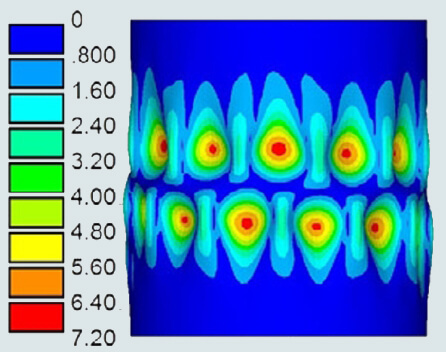 Optimising the process parameters for multi-material interfaces, such as thermoplastic/thermoset or composite/alloy, unlocks new opportunities for industry. AFP laminates can be manufactured in a greater variety of shapes than normal laminates, also with exotic mechanical properties, at the expense of including far more localised defects. The manufacturing process is, however, still constrained by the mechanics of the robot, tool and fibre tapes. It is critical that simulation tools are developed to: identify risks in the manufacturing process; identify likely defect locations; predict the as-manufactured properties; and predict the stiffness and strength of manufactured components. One of the major obstacles to automated manufacturing of composites, and composite manufacturing in general, is the complexity of design, qualification, manufacture and testing. Automated manufacturing adds additional complexity to this system which imposes unacceptable risks for many businesses. This research theme aims to develop high-level tools (software, guidelines, etc.) that aid the integration of AFP into industry.